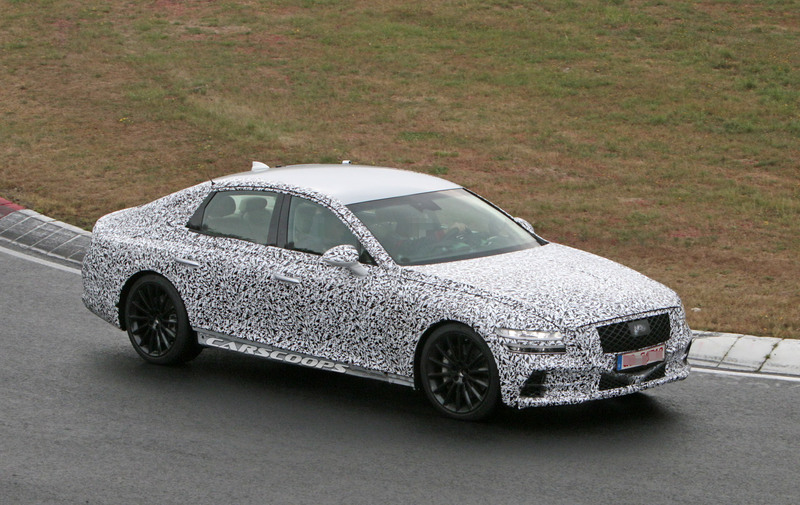 The shape does look a bit like a mix between a Lexus LS and an AUdi A7, but generally not bad, even though I think that if a car looks like a hatchback, it should be one. Anyway, it seems it will have quite a huge grille, and something weird going on with the head lights, and also rather large tail lights. The thing going on w/ the headlights is that Genesis is apparently making good on its promise (I assumed it was more of a threat) to bring the concept SUV's headlights to its production cars. Not a good look, IMHO. Otherwise, I think the basic shape is nice. I don't mind it remaining a notchback (generally better structural rigidity and noise isolation, no?). Curiously (but not surprisingly), it is more reminiscent of the Audi Prologue than is... any Audi. Ouch. I know, but it seemed topical to this car, and I just couldn't help myself. 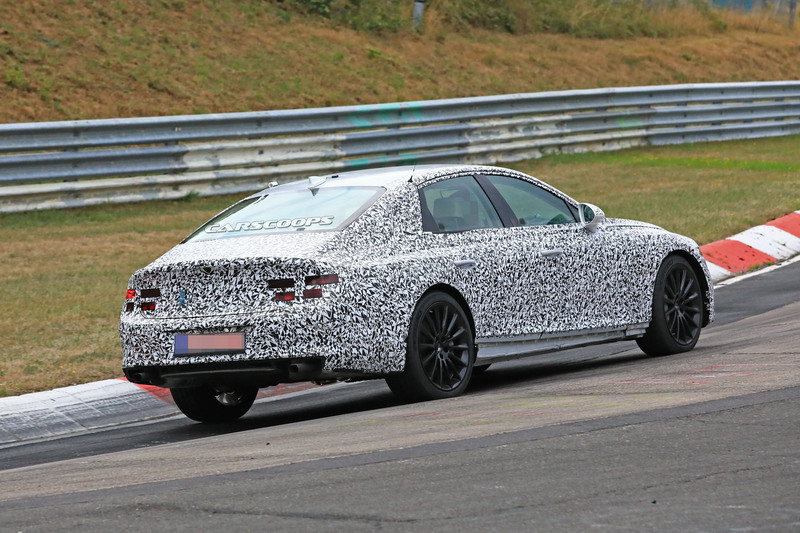 Whilst I fully agree, weren't you saying "People want a sedan shape" in the Accord thread about these fastback sedans? The mainstream sedan market in the USA has a lot of older buyers that are comfortable with certain form factors i.e. the three-box sedan. The Camry even now still maintains the three-box signature and it easily wins the sedan wars. In the premium wars, flash is much more important. The problem for Genesis is that the brand is too staid. A lot was promised for the G70 and it came out utterly dull and boring looking. If that is their strategy, then they need to build in much more performance. The G80 starts at $41K, but it really should start at $37K or offer much more performance at $41K. The problem for Genesis is that the brand is too staid. A lot was promised for the G70 and it came out utterly dull and boring looking.. I think the main problem is that Genesis as a brand has no real USP yet; The classic European (German and British) brands aside, Lexus managed to find their niche with ultimate refinement, unrivaled reliability and, later, a certain Hybrid competence (again building on refinement over Diesel competition in Europe); Alfa Romeo is still strongly remembered as the passion brand, even if the lineup was lacking for long, and their new models deliver, in that respect at least, without compromise. Hyundai needs to decide whether they want Genesis as a sports premium brand like BMW, or Alfa is trying to become again, or go for Mercedes and Lexus with luxury; So far, it seems undecided, and their probably most recognized premium car globally so far is a Kia, namely the Stinger (when it really should have been a Genesis Audi sportback fighter), which doesn't help either. 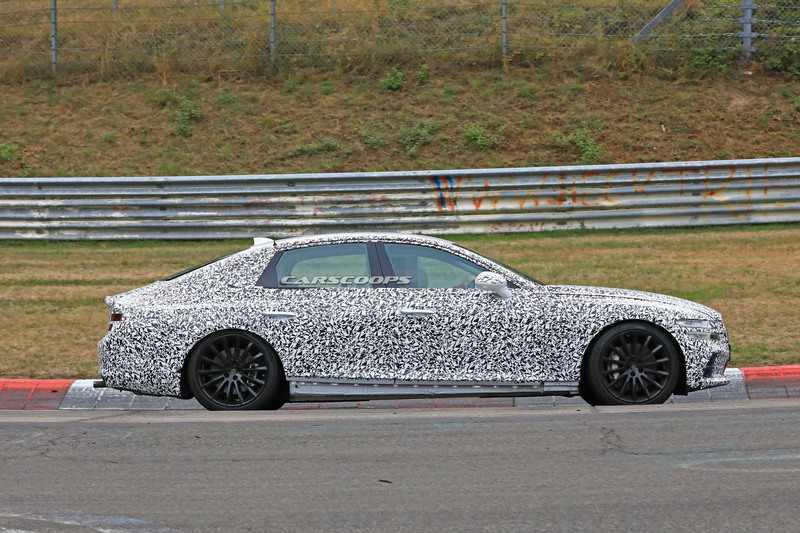 Decide that, and align the design language (so far none of the sedans have any kind of own identity, unlike Hyundai themselves or Kia); The G70 IMO doesn't look bad at all, likely their best looking car, but again, a mix of Mercedes, Infinity, ALfa Romeo and others, and with no visual link to the larger models. Hyundai hasn't caught on to how Lexus did it. The LS400 was virtually as good as the S Class of the day, but it was priced like a mid-sized Mercedes. Thus the G90 should be the Genesis that has a base in the $40K range and the G80 should be below $40K. Lexus also delivered better quality as demonstrated by infinitely superior durability and reliability. Given that Genesis cars are Hyundais, they probably have better reliability than the Germans. The LS400 was virtually as good as the S Class of the day, but it was priced like a mid-sized Mercedes.